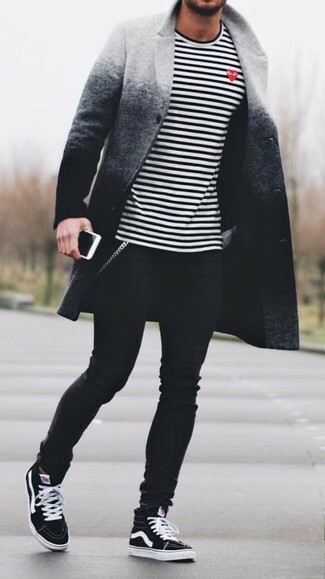 A grey ombre overcoat and black skinny jeans are absolute must-haves if you're putting together an off-duty wardrobe that matches up to the highest sartorial standards. 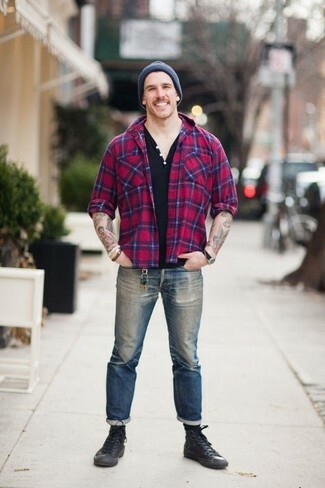 For something more on the daring side to complete this getup, choose a pair of black high top sneakers. If you're searching for a casual yet stylish outfit, try pairing a teal bomber jacket with black chinos. Both items are totally comfortable and will look great paired together. 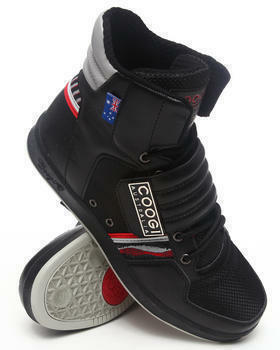 Coogi monaco 2 hightop sneaker will deliver a sportier vibe to your getup. 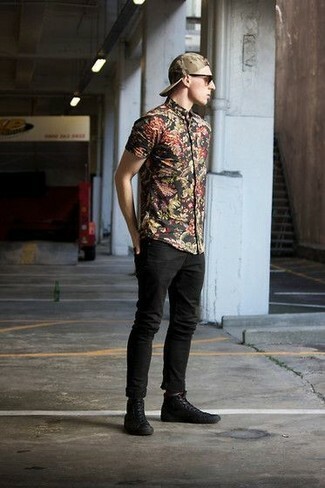 Wear a black floral short sleeve shirt and black skinny jeans if you're looking for an outfit idea for when you want to look casually cool. When it comes to shoes, this ensemble is complemented nicely with black high top sneakers. If you're all about functionality dressing when it comes to your personal style, you'll love this on-trend pairing of a black biker jacket and black ripped skinny jeans. Elevate this getup with Coogi monaco 2 hightop sneaker. 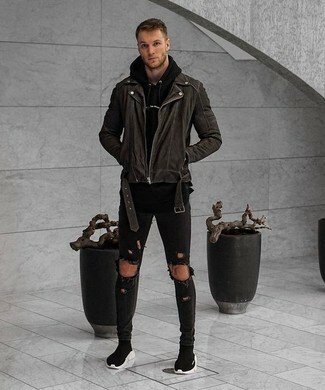 Consider pairing a black hoodie with light blue ripped jeans, if you feel like practicality dressing without looking like a slob. Finish off with Coogi monaco 2 hightop sneaker from DrJays.com and off you go looking smashing. If you're on the hunt for a casual yet seriously stylish getup, consider wearing a grey varsity jacket and olive chinos. Both pieces are totally comfortable and will look great together. Break up your outfit with more casual footwear, like this pair of Coogi monaco 2 hightop sneaker from DrJays.com. If you don't like being too serious with your looks, team a red plaid long sleeve shirt with blue jeans. Rock a pair of Coogi monaco 2 hightop sneaker to loosen things up. 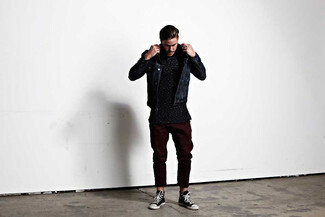 If you're searching for a casual yet dapper look, pair a black denim jacket with burgundy chinos. Both garments are totally comfortable and will look great paired together. For something more on the daring side to complete this getup, rock a pair of Coogi monaco 2 hightop sneaker from DrJays.com. If you prefer relaxed dressing when it comes to fashion, you'll love this killer combo of a blue print crew-neck t-shirt and red shorts. 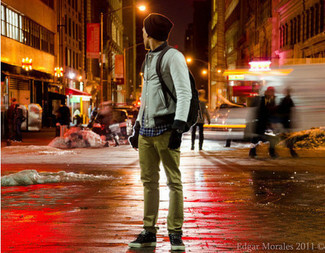 When it comes to footwear, this look is finished off really well with Coogi monaco 2 hightop sneaker from DrJays.com.